The Willamette Falls Legacy Project will bring multiple benefits to Oregon City, the Portland metro region and the state. This month, we are focusing on how the riverwalk may benefit the regional economy as a catalyst for economic redevelopment, which is one of the project’s four core values. Our project isn’t the first to create a goal of breathing new life into civic spaces and supporting businesses along a waterfront. As industrial trends shifted from factories and mills that depended on a river’s power to the expansion into other industries and power sources, many communities have tried to reconnect residents to waterfronts and rivers. Take a look at the examples below and let us know your thoughts: what aspects of the redeveloped sites did you like? Were there any elements you didn’t like? We hope these examples help illustrate some of the possibilities of the Willamette Falls Legacy Project site. Like Willamette Falls, Point Ruston was originally an industrial site along Tacoma’s shoreline. In the 1800s the area was developed as a mining town and it continued to boom during America’s industrial revolution. As the Industrial Revolution wound down and industry left the site, city representatives throughout the 20th century made various attempts to revitalize the area, finally beginning development in the last decade leading to its current status as Tacoma’s leading destination. Today, Point Ruston is a waterfront village with panoramic views of the South Puget Sound, the Olympic Mountains and Mount Rainier. The village features a Waterwalk, parks, apartments, condos, a theater, a luxury hotel, restaurants, bars, cafes and several shopping opportunities. 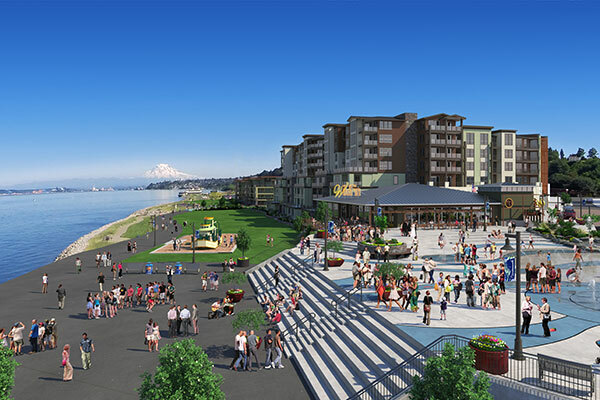 The nearly one mile Waterwalk at Point Ruston is the way people connect and enjoy the now-unobstructed waterfront. 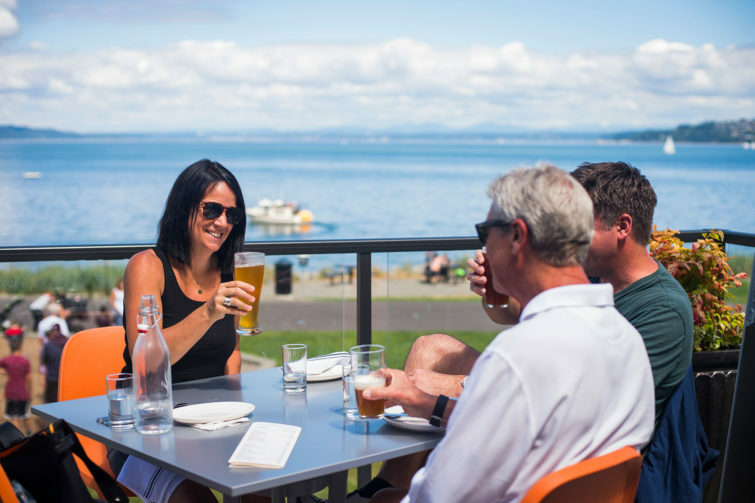 The pedestrian-only esplanade, spanning the entire waterfront of the Point Ruston neighborhood, provides several activities including running, paddle boarding, biking and boating as well as access to gardens, playgrounds and a wide variety of northwest-inspired large-scale mosaics. 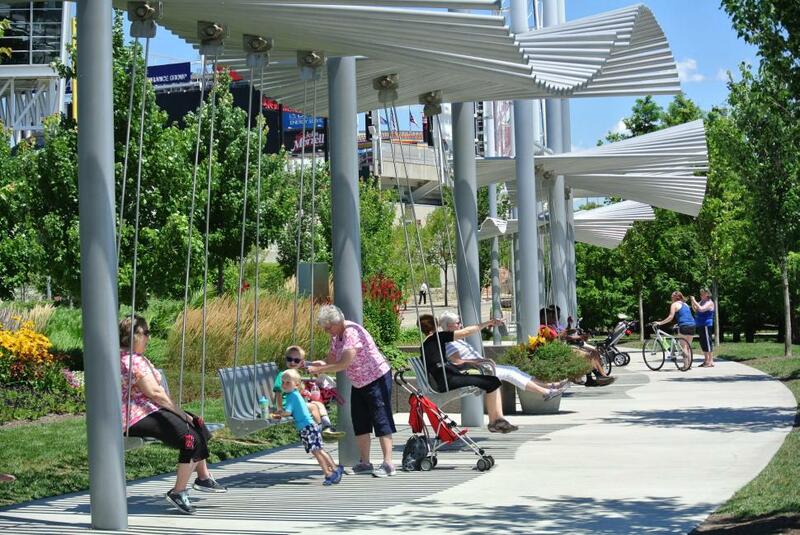 Located on 45-acres along Cincinnati's downtown riverfront, Smale Riverfront Park was created to reconnect downtown Cincinnati to the river, to link up with the existing riverfront parks to the east, and to be a place for people to gather, celebrate as a community and enjoy the outdoors. 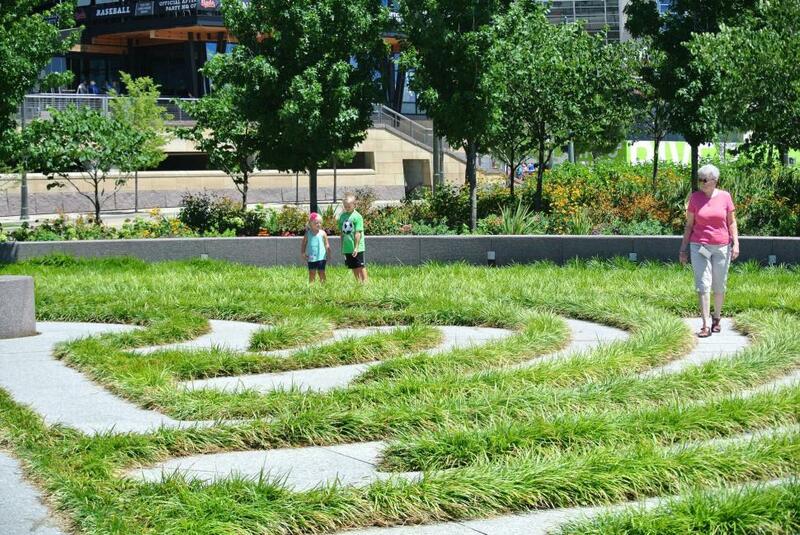 Like the Willamette Falls Legacy Project, the Smale Riverfront Park had several phases—planning started in 1997, the ground was broken in 2008 and the first phase of the park opened in May 2012. Much like the partnerships we’ve created with our project, Riverfront development in Cincinnati was supported by state, city, federal and private funds. 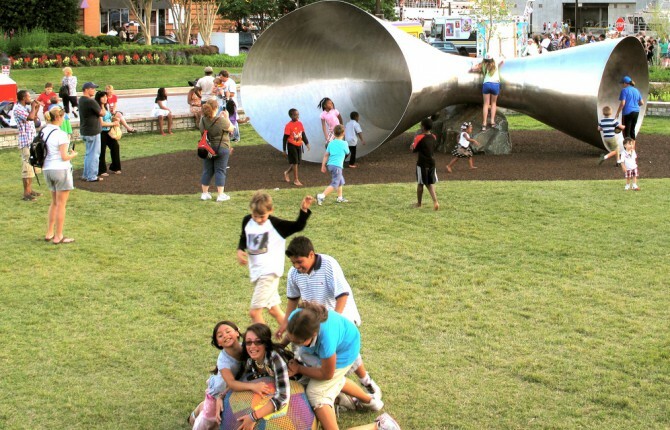 Today the park hosts several civic, business and entertainment features including a stage, an event lawn, interactive fountains, monuments, tree groves, a meditative labyrinth, carousels, playgrounds, local art instillations and businesses like Cincinnati Bike Center and Moerlein Lager House. At Moerlein Lager House, diners can sip a microbrew created on site, look out and take in sweeping views of the park, the Ohio River and the Roebling Suspension Bridge and sign up for a tour that highlights the fascinating history of the site and brewing in the city. 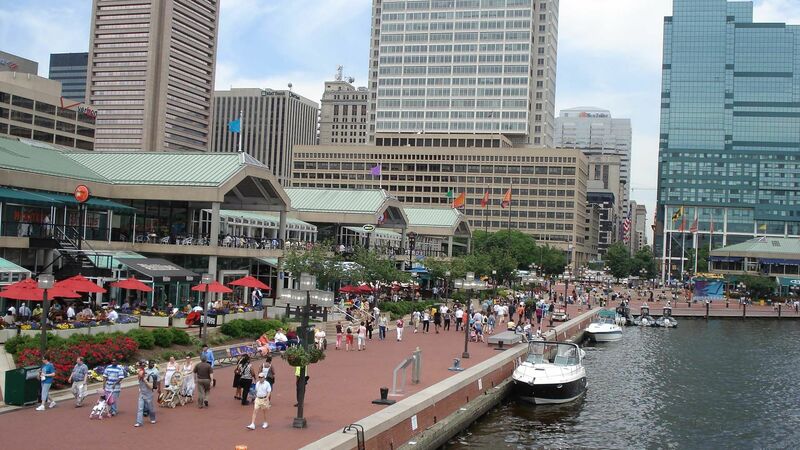 Forty years ago, state and city leaders in Maryland worked hard to transform Baltimore’s Inner Harbor from a struggling industrial port into a destination for tourists and residents. Today, the Inner Harbor continues to be one of America’s greatest urban waterfront destinations and the primary reason people visit Baltimore—generating $43.3 million for the city and $58.7 million for the state in 2012 alone while supporting over 21,000 jobs throughout the region. 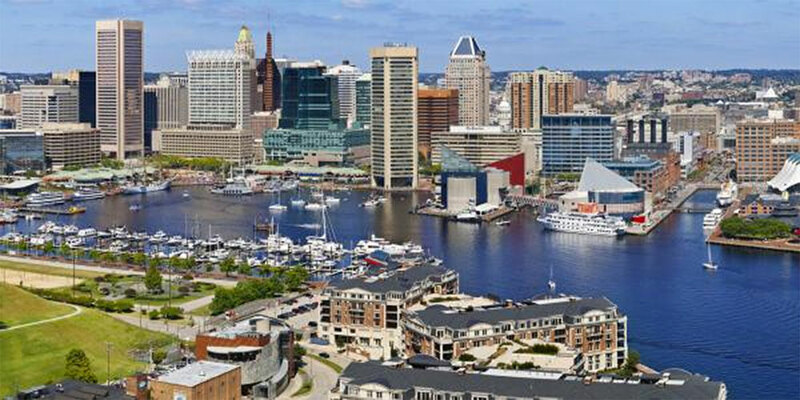 The Inner Harbor boasts museums, aquariums, restaurants, exciting nightlife, cultural experiences and extensive shopping opportunities. As a 40-year old public space, the Harbor now requires upgrades, and the city’s unveiled its “Harbor 2.0” plan incorporating necessary repairs and climate change-prompted upgrades. As an integral part of its Harbor 2.0 plan, the Healthy Harbor initiative aims to make the Inner Harbor swimmable and fishable by 2020.